Following on from yesterdays posts about the first two of three new units coming from AKAI we have the third and certainly most interesting piece… The AKAI MPC Fly. Designed as a “on the fly” tool for your iPad, the MPC Akai Fly means you can take the classic MPC controllability with you in an easy to carry package. 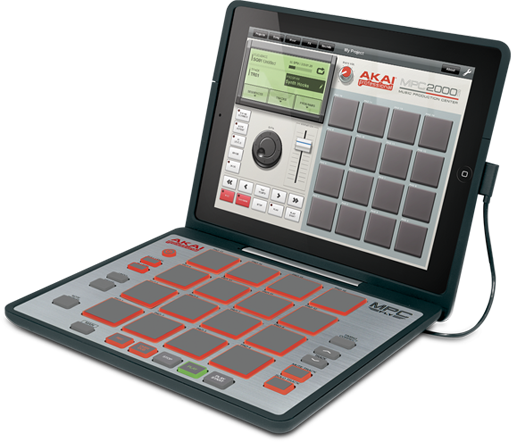 Previous PostAkai announces new MPC style midi controllers.Next PostAlesis @ NAMM with iPad tools and controllers aplenty.